Do you feel like the ant in the picture? The devCAD Team can now offer you an innovative 2D CAD application !!! I'm an inexperienced CAD user, how can devCAD help me ? You can find a lot of basic CAD applications on the Web.The price is generally in the 20~100 euro range and (sometimes....) they work if what you are looking for is a simple 2D CAD application to sketch your first drawings. But 'simple' and 'productive' are factors that are frequently not compatible in such cases. If you already worked a few hours with one of these applications you will understand what I'm talking about. And in a short time you'll search for more options, a faster drawing method, better print management and so on.. This then presents a problem: you paid for a basic CAD application, thus all you have is a basic CAD application. 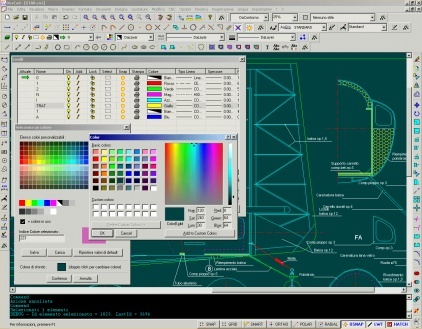 If you now need a Professional CAD you have to pay a lot more money to buy it and the interface, command and logic is now different.You are forced to forget what you learned so far and have to begin again from scratch. Obviously, if illegality is not an issue for you, you can also search the Web for an unauthorized copy of some popular Professional CAD application, but be ready in this case to fight against virus, trojans, system crashes etc..
Professional CAD applications are expensive, very expensive. And the learning curve is very protracted. If illegality is not an issue for you, you can search the Web for an unauthorised copy of some popular Professional CAD application, but be ready in this case to fight against virus, trojans, system crashes etc. Even so, learning to use professional CAD applications is still a problem. You'll find a great number of confusing options, terms, functions and so on and, according to our experience, this frustrating feeling will lead you to abandon the application, take a pencil and go back to the old way. How can devCAD help you? The devCAD Team have spent a great deal of time designing solutions to the above problems. Yes, the devCAD Team is rather unconventional. We planned to release two versions of the same CAD application:devCAD LE (Learning Edition) and devCAD Pro. If you are an inexperienced CAD user we suggest you begin with the LE version. Then, when you need more, you can upgrade to the Pro version and you'll find what you are looking for, but with the same interface, commands and logic. We also took advantage of writing an application from scratch: no rear compatibility here, an issue creating great complexity in other 'seasoned' applications. In this way we could also implement some 'smart' technologies, giving better interface, logic and methods to the user. And what about the prices? Visit the Prices page and you'll be amazed. I'm a rather skilled CAD user, how can devCAD help me ? If illegality is not an issue for you, you can search the Web for an unauthorised copy of some popular Professional CAD application, but be ready in this case to fight against virus, trojans, system crashes etc.. The devCAD Team started a partnership program to have the best programmers, libraries and support at a convenient price. 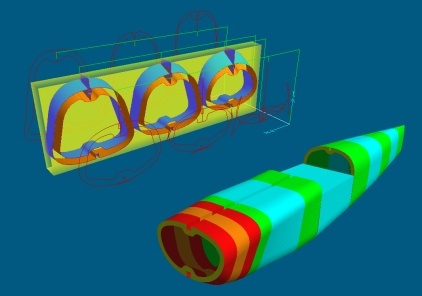 The goal of our partners is not to get rich by devCAD, but to encourage world-wide distribution of this application, and to have visibility for their technical skills.In this way we can offer the advantages and quality of a Professional CAD application at the modest cost of a basic one. We hope you'll take advantage of this opportunity. Conventional Professional CAD applications don't offer the possibility to create in an easy way your own line types, hatch patterns and so on. devCAD Pro includes WYSIWYG features to create new symbols, line types and hatch patterns. Line types can include the y offset and you can insert how many symbols you like in the pattern definition. In this way you can create very complex line types in WYSIWYG mode. Hatch patterns can be very complex too. You can mix a transparent solid fill with pattern lines and symbols grid. You can add as many line patterns and symbol grids as you like to the same hatch pattern. You can define angle and scale both locally and globally to the full hatch. And you have an immediate preview of the hatch pattern you are going to create or edit. 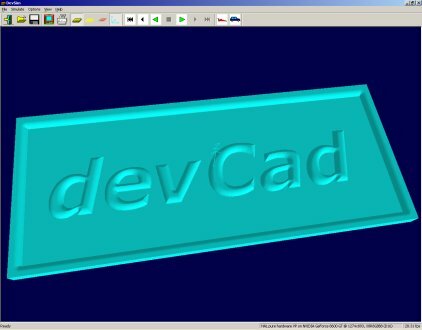 Forget the editing of proprietary file formats with a lot of strange parameters!You can do it in devCAD Pro in a very simple way! The devCad Team developed new 'smart' technologies to improve the user's work. I'm an aircraft models builder, how can devCAD help me ? DevCad offers many special features developed with particular attention to model aircraft builders. How can I draw a ribbed wing in a simple way? 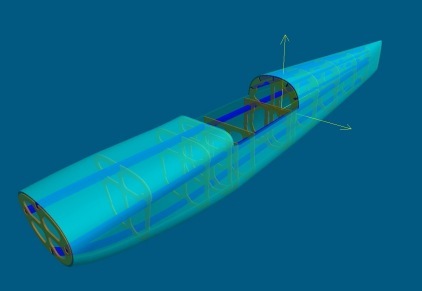 And how can I draw a fuselage in a simple way? See devFus and devFus Cam! 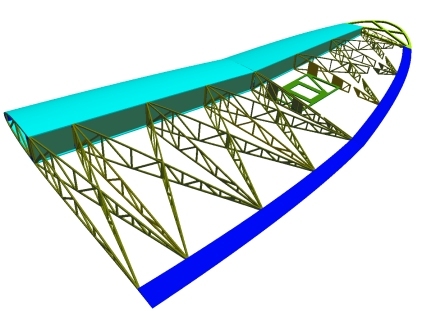 And how can I draw and cut a foam wing and fuselage in a simple way? 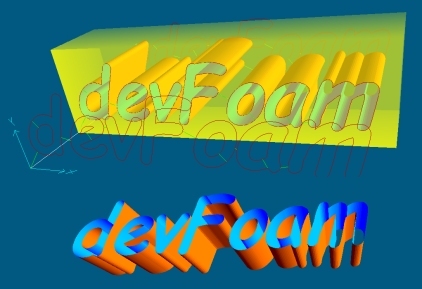 See devWing Foam! and devFus Foam! Don't esitate to contact us!